This Atwater Kent 41 is a typical example of many metal-cased AK radios from the late twenties. One unique trait of the 41 is it was designed to operate off 110V direct current rather than alternating current. I built a homemade 110VDC supply consisting of a 150 ohm resistor, a diode bridge and 470uF 200V capacitor to allow the radio to operate on AC mains, and is visible in the upper left corner of the radio inside view. The first audio interstage transformer had an open secondary that I decided to try repairing by charging a 100uF capacitor to 350V and discharging it through the secondary with the hopes of welding the internal breakage back together and the fix actually did work. Also the RF coil experienced physical damage at one point and was rewound with new magnet wire from a cassette tape motor. 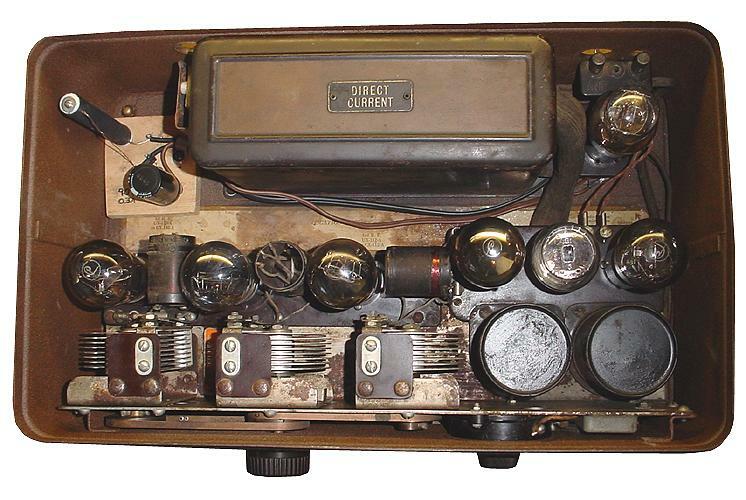 Quite a rough life for a radio that has come a long way since 1928. 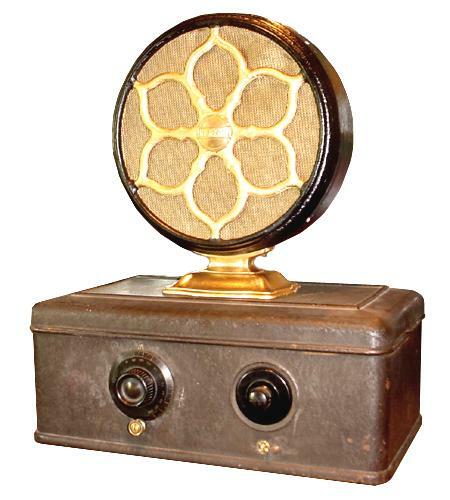 The E speaker shown with the radio was repainted due to rust damage and discoloration. The radio plays very nicely for a simple TRF set with push-pull audio using a pair of '71A tubes.